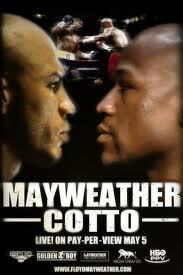 Who is on the Floyd Mayweather Miguel Cotto Undercard? Who is fighting on the Mayweather Cotto undercard? We take a look at the whole event. Keep an eye on the Jessie Vargas - Steve Forbes fight. Vargas is an unbeaten prospect and has been hyped up by Mayweather himself, who sees big things in his future. Forbes isn't much of an opponent, and Vargas will be looking to make an impression.